On August 24, 2016, Robert L. Quinn was appointed by the Governor, with the consent of the Executive Council, to serve as Assistant Commissioner of the Department of Safety. In 2010 he was appointed Director of the New Hampshire State Police. 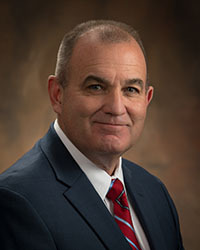 As State Police Director, with the rank of Colonel he oversaw enforcement of criminal, motor vehicle, and other public safety laws, and the regulation of detective agencies and security services as governed by law. Mr. Quinn received his bachelor's degree in business administration from Merrimack College in 1983. He is also a graduate of the U.S. Drug Enforcement Administration's Unit Commander's Academy and the FBI National Academy, both located in Quantico Virginia. In 2016 he was named DEA/DARE Law Enforcement Executive of the Year.